Latest ATrack AK11 LTE Fleet Hub took Best Choice award. What were the winning reasons? Let’s get to the details! Watch the video or read on. 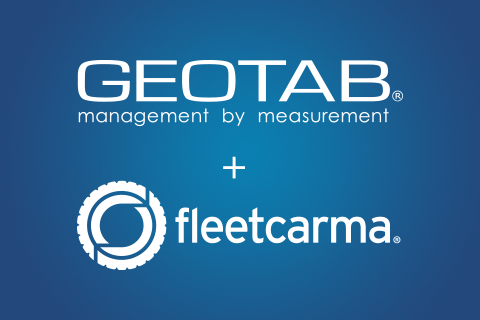 A US GPS tracking and telematics company Geotab has decided to be long-sighted and announced the acquisition of a clean-tech solution provider FleetCarma. The company is based in Silicon Valley and specializes in providing telematics for hybrid and electric vehicles. FleetCarma also works with utility companies to understand and manage the impact that EV charging has on the electric grid. Combining FleetCarma’s unique EV telematics capabilities with Geotab’s proven open-platform solution is exactly what our customers want and the industry needs, stated Matt Stevens, CEO of FleetCarma. GPS Gate and Navixy, two well-known global telematics platforms, updated their field service apps about the same time. Functionality and Interface. What new can service providers offer to their customers? and even upload audio to record a walk-through or narrate job details. As far as Navixy GPS tracking platform has already filled up its work order management app with advanced functionality, the company decided to reimagine the design. The interface of the Tasks app has become more ergonomic and intuitive. One button for creating tasks and importing a list of existing ones. Create single and route tasks at the same window. Add checkpoints to the tasks. Drag and drop them to change the route, etc. More intuitive design will allow to create, assign and manage tasks in a new way. Integrators’ customers will be able to make less clicks, manage only necessary elements on the screen, and experience the cutting edge interface – claims the developer. Atrack, a Taiwanese proven GPS tracking device manufacturer, announced that its AK11 LTE Fleet Hub has received the COMPUTEX TAIPEI Best Choice Award 2018. Why does the device attracts too much attention and win prizes? 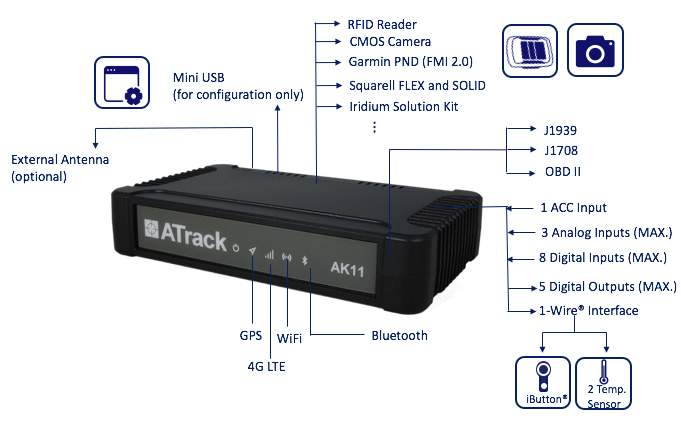 ATrack AK11 is a multifunctional vehicle GPS tracker which supports 4G LTE and 3G as well, bluetooth and wi-fi. It can be hardwired to any type of vehicles: cars, heavy duty truck, construction equipment. The information can be gathered through different type of interfaces: 1-wire, OBDII, J1939, J1708. It is possible to connect a video camera, Garmin, Iridium and Mobileye systems. So, as you can see the device is fresh, professional and multi-featured. “A single model that combines all” – that’s how the manufacturer talks about AK11. That’s all news for today. Please, contact us ([email protected]) if you want to share something intersting with us. And subscribe to our Youtube channel to get the latest scoop on GPS tracking and telematics.